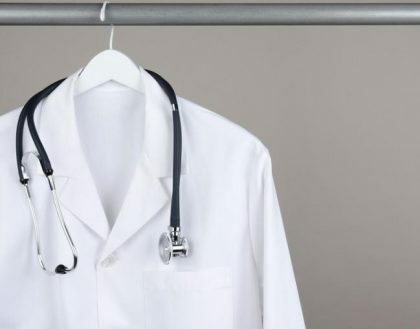 The move against the medical professionals came after the inquiry committee issued a preliminary inquiry report where it pointed out the medical negligence from the part of doctors in providing treatment to the accident victim. The case concerned two siblings in their 20s, residents of Chiro village, who were travelling on their scooter on Sunday night. When they reached near the area of the district jail, a tractor collided with their scooter. One died on the spot and the other was rushed to the KCGMCH who also died later in the evening night. A family member told the Tribune that ‘His life could have been saved, but the doctors and other staff members did not give him proper care’. The family of the boy went to the local police to file a complaint regarding the matter. The case was then sent to the inquiry committee for the report. The preliminary inquiry report pointed to negligence on the part of doctors and recommended action. Based on the report the action was initiated Dr Surinder Kashyap, KCGMCH Director. The KCGMCH Director informed the Tribune that Dr Chaudhary, senior resident, and Dr Kumar, junior resident, have been suspended till final inquiry was completed. Besides this, notice had been served on Dr Manisha, casualty medical officer, and Dr Saurabh, senior resident, to submit their reply in two days. A delegation of doctors met the director of KCGMCH and demanded the cancellation of the suspension of their colleagues. It is a tragedy of our system that primary accused who was responsible for negligence, the tractor driver who was rash and irresponsible is not blamed and the whole blame for the death comes on the treating doctors . The circumstances of the accident and poor implementation of traffic rules are not blamed, the whole blame comes on the doctors. These days so many accidents occur daily on Indian roads but every injured person dies due to doctors’ negligence. Why the engineers who are supposed to look after the maintenance of the roads and the traffic managers are not suspended . Why tractors are allowed as passenger carriers when they are meant for agricultural work? Doctors are the safe targets and they are targeted for negligence. Doctors are not gods who will save every patient whatsoever his condition. It is advisable to the doctors that they must interact with the relatives more effectively and give extra attention by sitting beside patient’s bedside for 5 minutes every now and then. This attitude comes with experience. Always put the patient first as if he is related to you. Assess the risk of death and refer to a bigger hospital if you feel the patient is serious and this assessment will come only is you sit at the bedside, life and death is not in doctors’ hands. The judgement is always in your hands.